Ghost Card | What Is a Ghost Card? What is a ghost card, and how do they work? ​As your business grows, it is important for you to have a card that is scalable and flexible for your company so that it can continue to meet your purchasing and expense tracking needs. Procurement cards that are given to individual employees to make purchases may no longer be enough. Instead, you may want to have card numbers that are assigned to individual departments within your company that can let you track your business expenses by department. One solution for companies that are growing larger is a ghost credit card. If you are like most business owners, you might wonder what is a ghost card? A ghost card is a type of credit or debit card that allows you to assign different card numbers to different departments within your organization. The individual numbers allow the departments to make authorized purchases for your company, but the numbers themselves are not usable by either internal or external thieves. When the employees of the department use their ghost credit cards, the purchases are charged back to the specific department within which the employees work. This allows much easier tracking so that you understand how your company’s money is being spent at the department level. How are ghost cards used? Ghost cards can be used vertically or horizontally. When they are used vertically, the numbers may be used with particular vendors with which a business completes a high number of transactions in order to improve the efficiency of purchasing while reducing invoicing. Cards that are assigned in this way will not work with other vendors. Ghost cards may also be used horizontally. 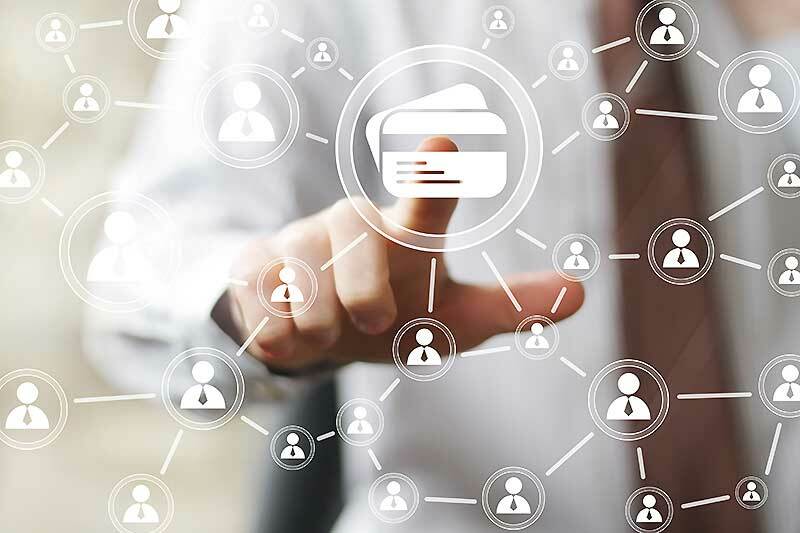 In this type of use, many different employees may be able to use the number that has been assigned to a specific department to make purchases that are needed by that department without having to use their individual credit cards or to wait for reimbursements. What are the benefits of these cards? Using these types of cards is beneficial to both the business and its employees. Many companies expect their employees to make purchases that the companies need with their own money or credit cards. The businesses then later reimburse the employees for the purchases. This method involves risks for both parties. The employee may have to tie up his or her own money or credit until he or she is reimbursed. The reimbursement process may take several weeks or even a couple of months, meaning that the employee may have interest charged on the amount that was spent on his or her own card. Reimbursements also are problematic for employers. If they take a long time to process them, their employees may be unwilling to make purchases for the company in the future. Employees also may take advantage of the reimbursement process by inflating their purchase amounts, submitting reimbursement requests for purchases that they made for themselves instead of for the company or other problems. Using virtual cards instead of the reimbursement process can eliminate the risks that both parties face while also saving time and money. Who can benefit from ghost cards? Larger businesses and businesses that are growing can both benefit from choosing ghost cards. The cards are scalable and offer your business greater flexibility for purchasing and expense management. Organizations that find that they are spending a significant amount of money on what purchase category may also assign a ghost card number to that category and restrict the purchases that can be made within it to a selected few merchant codes. This may allow companies to keep better track of the expenses that they incur in that category of expenses such as travel. By contrast, smaller businesses may benefit by choosing P-cards instead, which are cards that are given to individual employees to make purchases instead. How can these cards help when working with suppliers? Ghost cards may be used when working with suppliers to help to prevent thefts. These cards are not the true credit card account number and make it more difficult for others to access the real account that the number represents. They can also make assigning specific transactions to selected departments within an organization easy. Ghost cards are different than credit cards in several ways. They do not have to actually be plastic cards and may instead just be unique numbers that are assigned to specific departments. The cards at Bento for Business also are not dependent on your credit so getting approved will not involve credit checks. Since the money that is deposited into the central account to fund the cards is yours, you will not be charged interest on the balances. The cards at Bento for Business also differ from regular debit cards. The cards allow you to set robust limitations on what can be spent with the card numbers. You can choose specific categories of spending for each different department and disallow all other purchases for those departments. You are also able to keep your budget under control by choosing the limits of how much can be spent on a daily, weekly or monthly basis. If you see that your expenditures with a particular supplier are ballooning, you can set a monthly limit on the amount that can be spent with that supplier. Ghost cards may be a good solution for businesses that are growing and that need to track expenses across departments. Bento for Business offers highly scalable cards to meet the needs of companies that are growing and those that are already large. Transactions that are made using the cards may be imported directly into an accounting system that your company uses like QuickBooks so that expense tracking and management will be much simpler. To learn more about the type of business cards that might work for your needs, call 866.220.8455 or signup for our free 60 day trial.